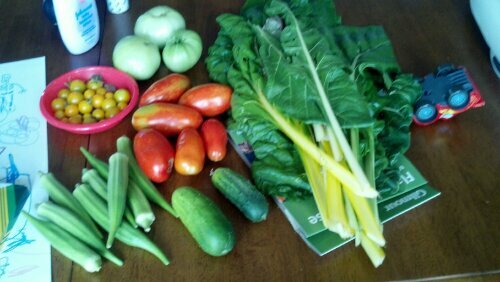 Chard, tomatoes, okra and cucumbers! Fried green tomatoes with dinner tonight. Mmmmmm.